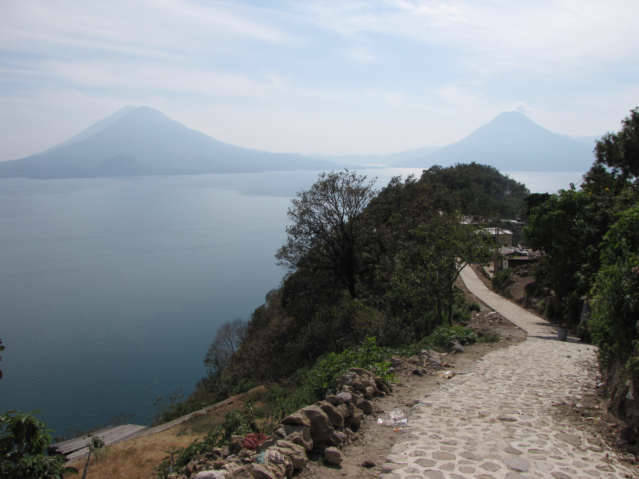 I have some more photos from the viewpoint at the village of San Jorge that is located between the cities of Panajachel, Guatemala and Solola on Lago, Atitlan. I went to the viewpoint a second time to photograph the area; I could not take many photos on Sunday because they were conducting a private ceremony. This is a photo I took on Sunday, not easy to see what is happening, however the one of the men is bending over and placing some round pieces of something on the altar made of concrete. What are these round things? I speak Spanish and I was lucky, a woman later called this an “Encanto,” and it was for any religions. Now that information is only one person and it could take weeks to know the various truths of this ceremony. I put the photo in a graphics program, copied a square of the photo to show you what I was seeing. What are the round things he is placing on this altar of concrete? 2. 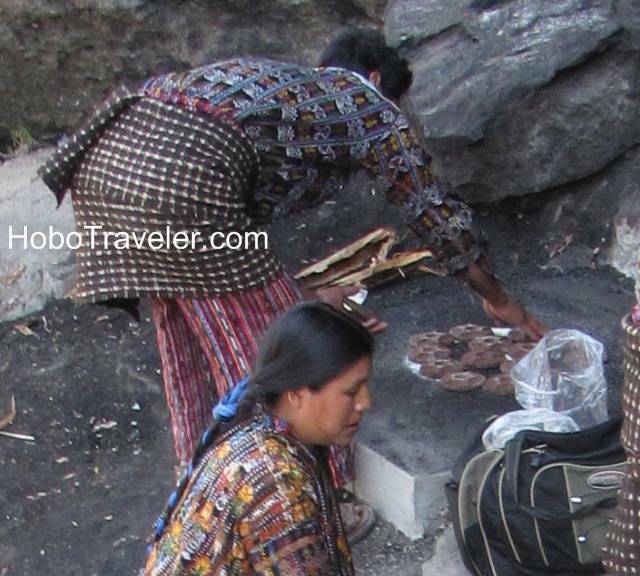 What the locals would tell you that live away from this point, for example in Panajachel, and maybe more Mestizo and less Mayan. 4. People who are actually in ceremonies, and they would not talk to me and said it was private. 5. Write infomation, that can be as silly as the guides information. I suspect and believe this is probably a ceremony of what could be called a fuzzy God; it is rather normal that people will blend together two or more religions and make their own form of worship. I would bet they have combined the Christian Catholic Religion together with the local Mayan Religions. Note, please do not think that all Mayans worship the same, there is always a local interpretation of what they are supposed to be doing. 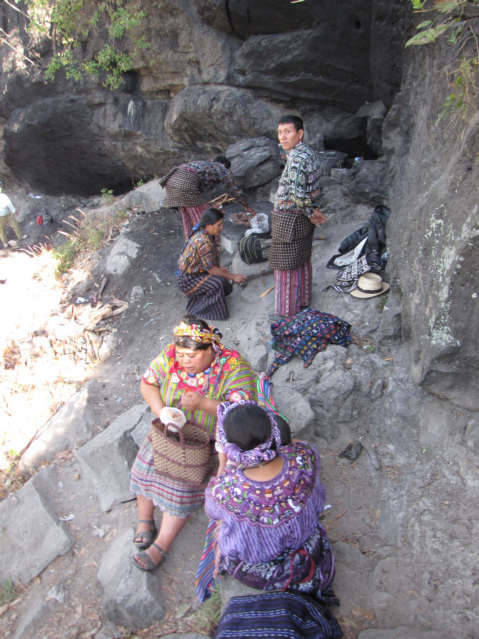 Catholics in Guatemala are not the same as Catholics in the USA, and the same goes for Mayan worship, religions change like neighborhoods, they adapt to the wishes of the local people who live in any one small local region of the world. What is an “Encanto?” The word in Spanish means enchanted, or charm, fascination. However, do not get trapped in an literal Spanish translation of this word, there is some colloquial use of this word that would take me weeks to interpret. What is Encanto? Do you know?